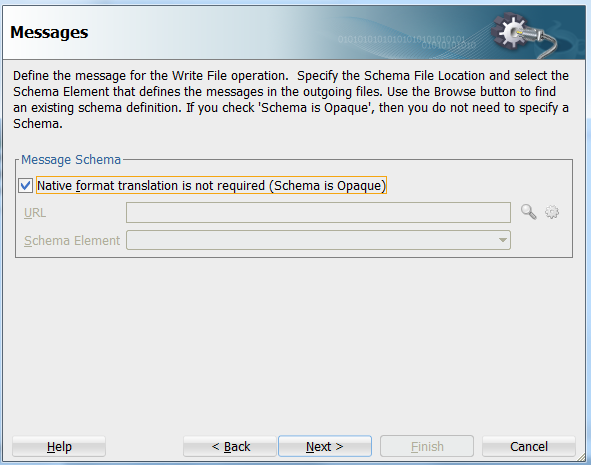 I only realized just now that the checkbox Native format translation is not required (Schema is Opaque) in many of the JCA adapter (wizard)s that we use with SOA Suite and Service Bus does not mean that the opaqueElement can be fed with just any content whatsoever and it will pass it onwards. Translation to native failed. IO Failure in translator. IO failure because the translator failed to to copy InputStream to OutputStream. . Check the error stack and fix the cause of the error. 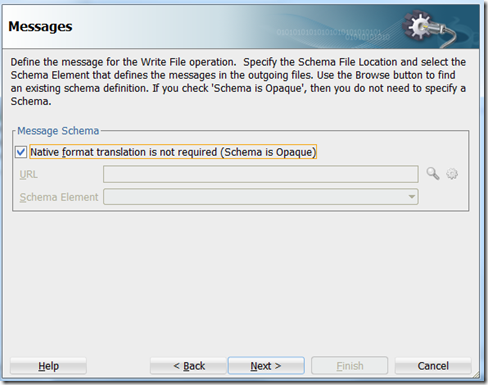 Contact oracle support if error is not fixable. The data does not conform to the NXSD schema. Please correct the problem. 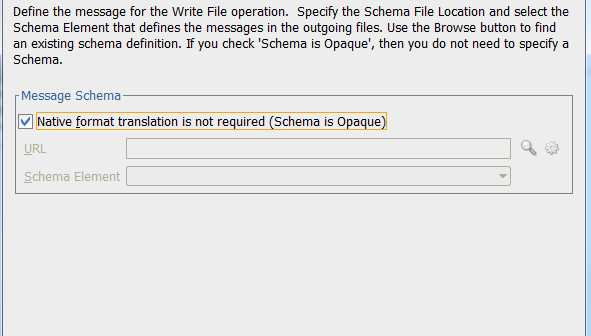 As it turns out, whatever is fed to the opaque element in the opaque ‘schema’ should in fact be base64 encoded data! Not just any string or XML block – as I originally thought. This function takes any xml node or node-set as input and converts it to a string. This string can then be used as input for you jca adapter. I have tested this approach and it works. The recieving end should be able to use the oraext:parseEscapedXML() custom xpath function to convert the xml string back to actual xml, though I did not test this part.